Best availability on 19 May! Tickets from £61.75 Includes service fee and £1.20 facility fee. A £2.55 admin fee applies. Known for their flamboyant and theatrical tour productions, the 2019 edition is sure to be their biggest and best yet. So get ready for their phenomenal return to the Birmingham stage this May! Take That are an English pop group formed in Manchester in 1990. 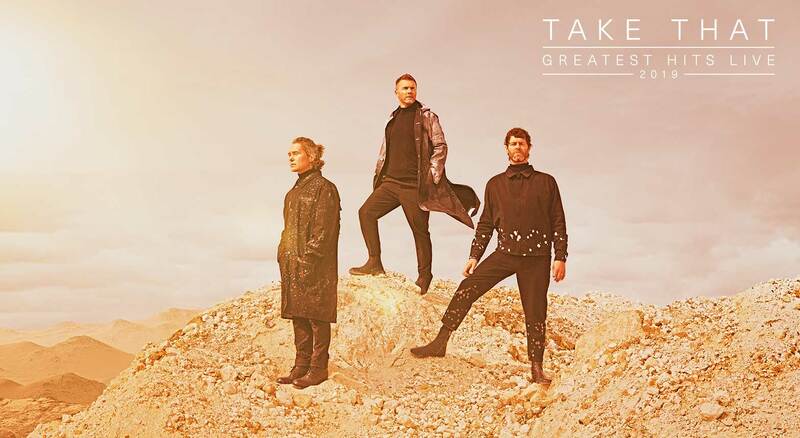 The group currently consists of Gary Barlow, Howard Donald and Mark Owen. The original line-up also featured Jason Orange and Robbie Williams. Barlow acts as the group's lead singer and primary songwriter, with Owen and Williams initially providing backing vocals and Donald and Orange serving primarily as dancers.